Downloads continue for those able to withstand these energies. We are the Lemurian Council of Twelve here to report. This cycle in your Ascension Process is nearly complete. It shall end in mid-May. As each human body coalesces with these energies, the body undergoes crystalline changes within. These changes cause the body to function at a higher vibrational level. Changes also affect the body in what may appear as detrimental ways as the clearing and cleansing of Self continues. It is vital at this time to maintain health in all aspects, resting as desired, maintaining hydration, eating wholesome foods, for as these energies continue to enter your earth effects upon the body continue. Know that we are with you guiding this process, which many of you have been through many times before. 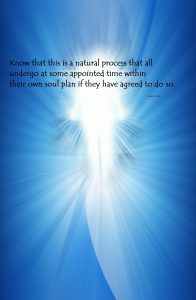 Know that this is a natural process that all undergo at some appointed time within their own soul plan if they have agreed to do so. Know that as each undergoes this process, the lifestyle continues to make vast changes. The old ways are dropping away quickly for those undergoing this process. Allow the new to enter and replace these old lifestyle ways. 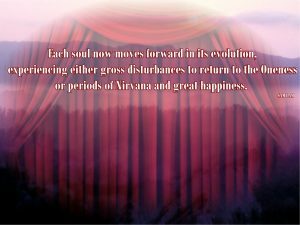 There may be a time of great void in many undergoing this process, a time where relationships dissolve, a time where gross disturbances in lifestyle occur, but one must maintain the attitude of being souls undergoing a process that has taken place many times on your earth, while in many forms. We are the Lemurian Council of Twelve and we wish you to know, the guidance is there for you to tap into at any point in your time/space continuum. Experiences of good often increase when we concentrate on inspirational thoughts. 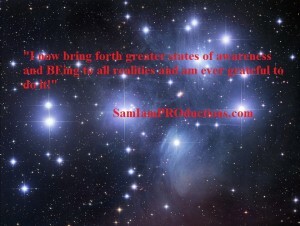 E-mail comments and questions at the Contact Page and visit SAM I AM Productions to support your Self as we collectively move through these chaotic times. Loving You! “As one moves through these times it is important to remember you are a spirit in human form. It is time to bear witness to the falsities of the 3-D world. 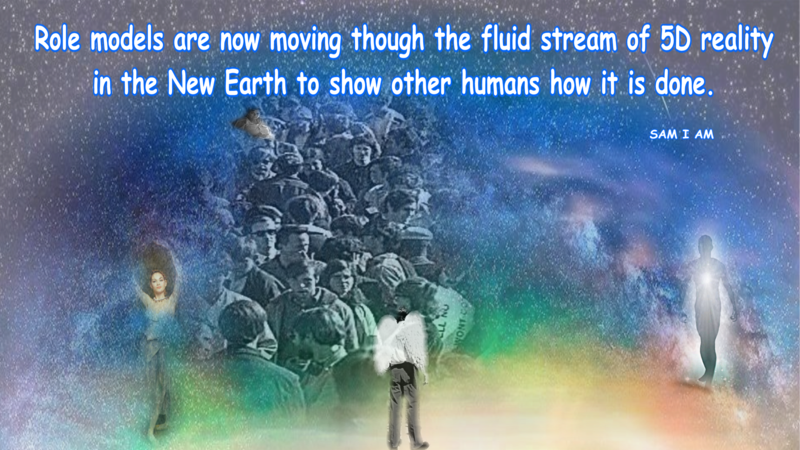 During these next few months as things ripen to a peak of chaos, you shall bear witness to these falsities as the 3-D earth finally moves forward in consciousness. This consciousness is more in tune with Gaia as she too steps up, so to speak, matching the vibration more closely in tune with other planets immersed in the Oneness of All. “These next few months will be cumbersome at best. Those who have prepared, in mind, in physicality, shall move through the process more gracefully. Those not yet awakened will be immersed fully in the chaos and not prepared for what is to come. Remember, this is an experience in the mind of humanity, of which all souls on earth agreed to. Moving though these levels, these states of consciousness, one shall find many (people) who are not in tune with their own states of awareness. 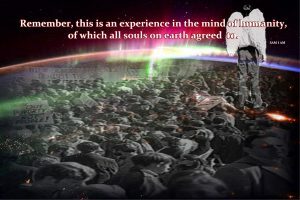 Allow these precious souls to come to their own conclusions, through their own experiences, and judge them not, for recall each soul has chosen to experience uniquely on this earth. Each experience and each expression of each soul holds a unique signature of a unique soul, having a unique experience in its own small mind, if you will, for lack of a better word. “During these next few months, before your Summer months arrive, the consciousness on earth shall shift to be more in tune with the Christ Consciousness it is headed for fully. 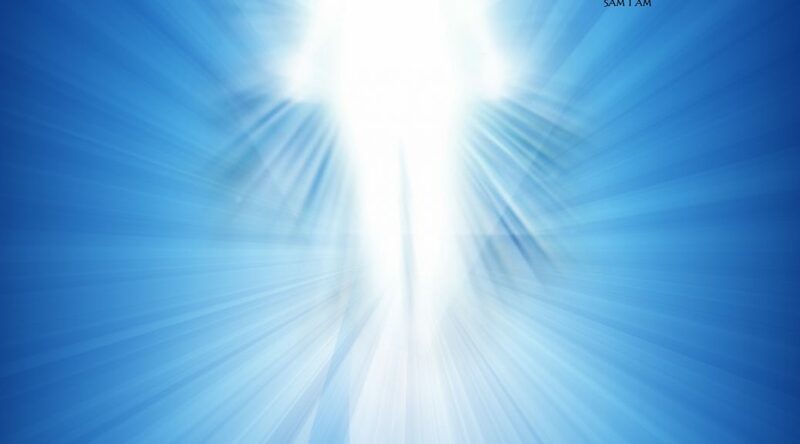 Know, again, not all souls have agreed to awaken to this Christ Consciousness or move into this Christ Consciousness. 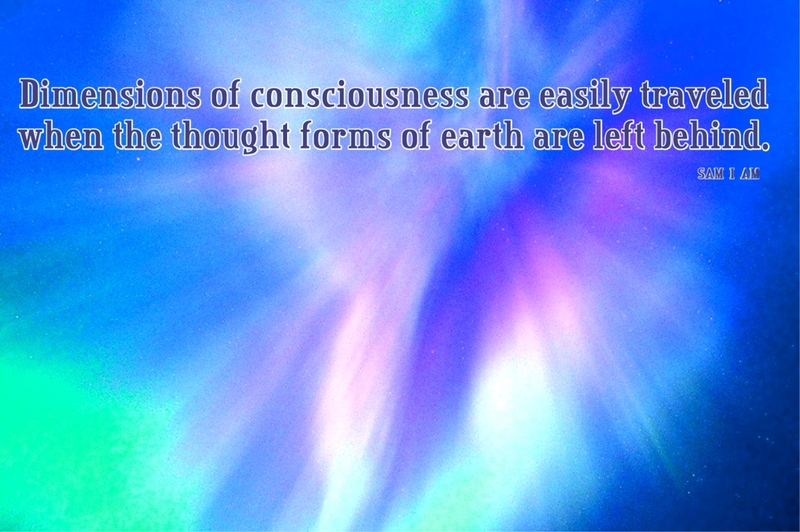 Albeit, few will move toward this consciousness with the knowledge they are a conscious, sentinel being. As these days and months unfold on your earth, remember, judge not lest ye too fall sway to the separation many souls have chosen to experience. Experiences of good often increase when we concentrate on inspirational thoughts. E-mail comments and questions at Comments and visit SAM I AM Productions to support your Self as we collectively move through these chaotic times. Loving You! “Those that wish to do so now move into a higher level of consciousness on your earth. Many are experiencing a fluey feeling that is not the usual flu or cold. These are signs of raising the body’s frequency with light codes now coming into earth. 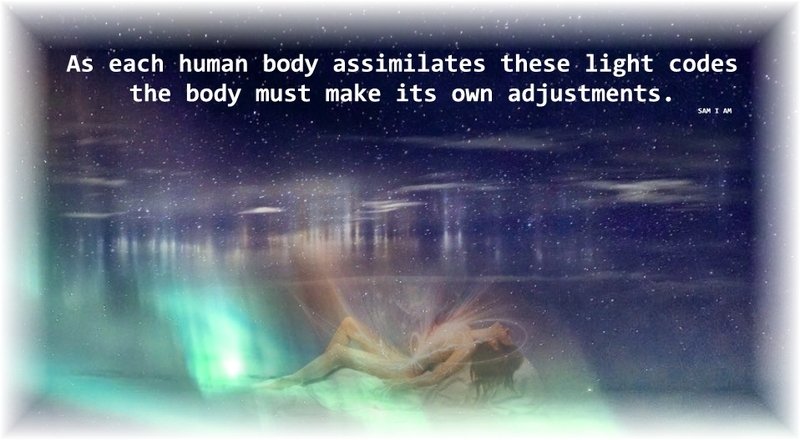 Know that as each human body assimilates these light codes the body must make its own adjustments. Some may feel as if they have the flu, a cold or combination of both. Some may experience periods of great body heat with a subsequent cooling down period. Still others may seem to experience headaches, body aches, or changes in eating and sleeping habits. These are common occurrences when human bodies assimilate light codes subsequently changing the DNA within physical frames. Know that as your earth continues to change its frequency those upon her choosing to move into this Christ Consciousness, this light-filled DNA consciousness, shall continue to experience these changes within the physical frame. with those that have not chosen, in this lifetime, to move into Christ Consciousness. All souls choose before birth. These choices are not made after birth. All souls come in to experience and express uniquely in each life. 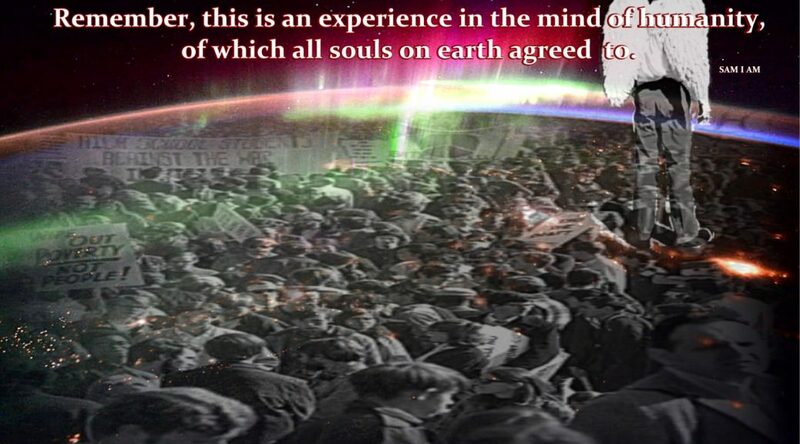 Those willing to undergo this process of souls do so through a group consciousness, as souls determining, striving to experience and express the Christ Consciousness together. There are often those who are misguided in thinking they tap into Source energy. Here are a few tips to those moving toward this long-lost ability. 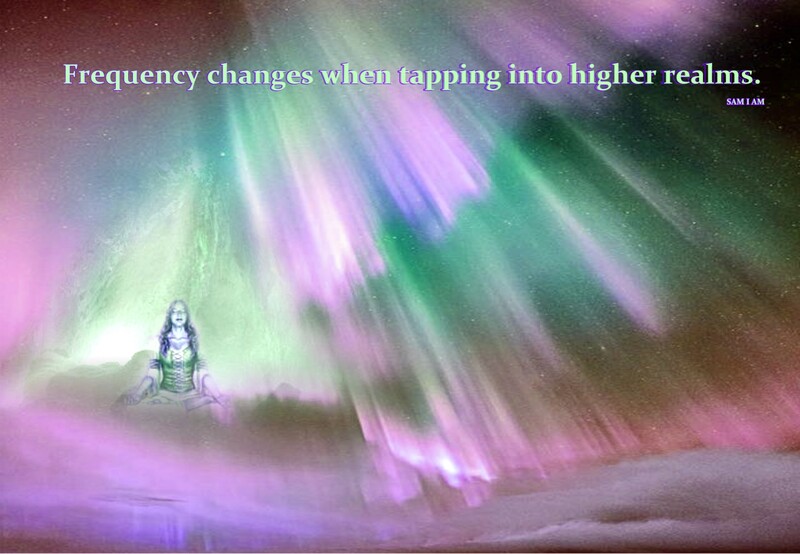 Frequency changes when tapping into higher realms. The body begins to vibrate at an advanced level, sometimes in the beginning shaking as it adjusts. With this change in frequency comes a change in temperature. The body begins to feel heat as this frequency increases. Some may not wish to withstand this change in frequency and so tap into the astral energies to avoid it. Do I wish to be a channel of higher realms? Am I willing to let go of all I know of how the world revolves and devolves? Am I willing to change all beliefs to recognize that I AM the Creator? Support your Self. 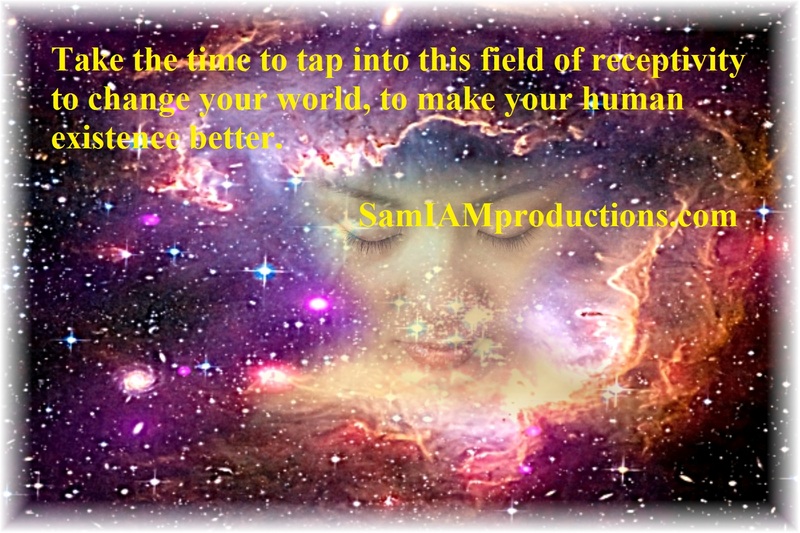 Find a 90-minute workshop on channeling at SAM I AM PROductions. FOLLOW THE STEPS…IT IS NOW COMMON FOR LIGHTWORKERS TO RECEIVE THE LIGHT AND THEN SHARE IT WITH HUMANITY, EACH VIDEO HELPS US TO MEET THIS JOYOUS MISSION OF LOVE! ENJOY STEP#2! Choose “Save Link As” to save to a file folder. 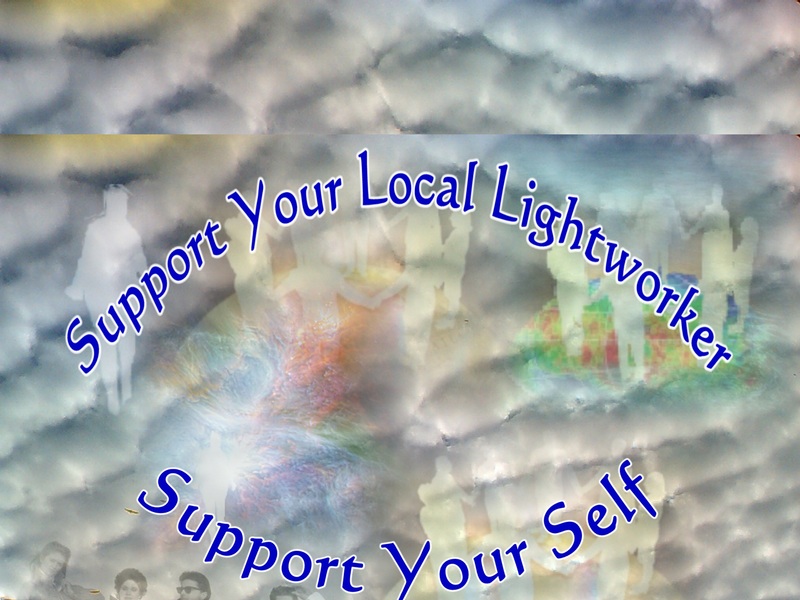 FOLLOW THE STEPS…IT IS NOW COMMON FOR LIGHTWORKERS TO RECEIVE THE LIGHT AND THEN SHARE IT WITH HUMANITY, EACH VIDEO HELPS US TO MEET THIS JOYOUS MISSION OF LOVE! ENJOY STEP#1!